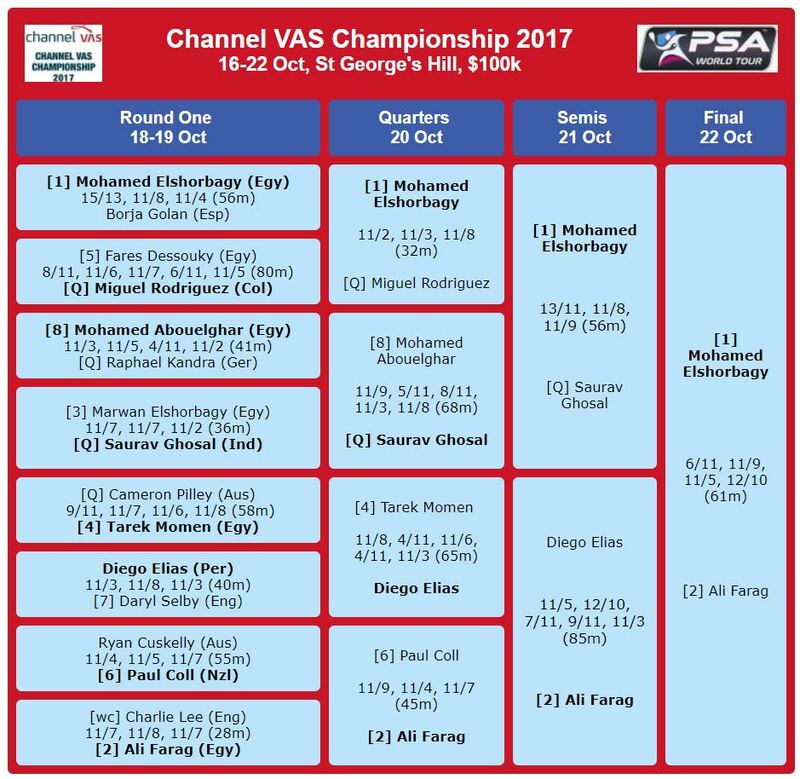 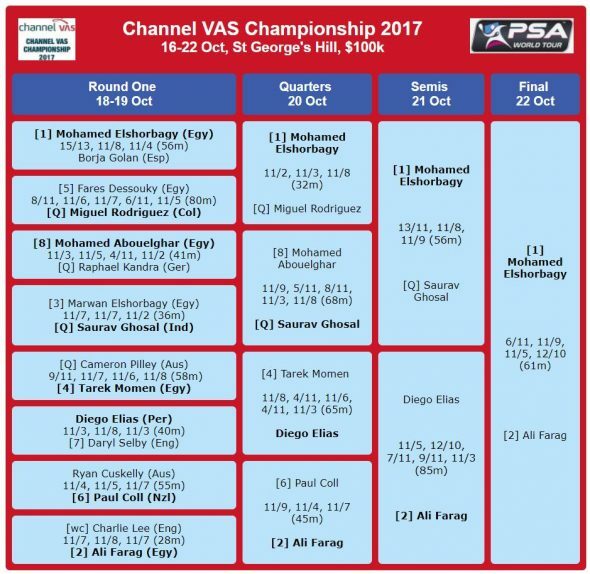 Top seed Mohamed ElShorbagy defeated World No.5 Ali Farag in the final of the $100k 2017 Channel VAS Championship at St George’s Hill tournament to avenge his loss to his fellow Egyptian in the title decider of last week’s U.S. Open. 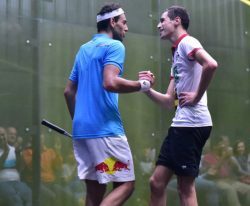 The previous chapter of their enthralling rivalry saw Farag get the better of World No.3 ElShorbagy in Philadelphia eight days ago and, despite a gruelling 85-minute semi-final fixture with Peru’s Diego Elias in the previous round, the 25-year-old Harvard-graduate looked fresh and full of inspiration as he dropped just six points in an opening game win. 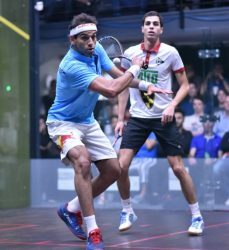 But ElShorbagy, who suffered a shock first round defeat at this tournament last year, responded in the second and third games as the Bristol-based Egyptian began to lift the ball more, varying the height and pace of his shots to move Farag around the court, and he was rewarded with a 2-1 lead. 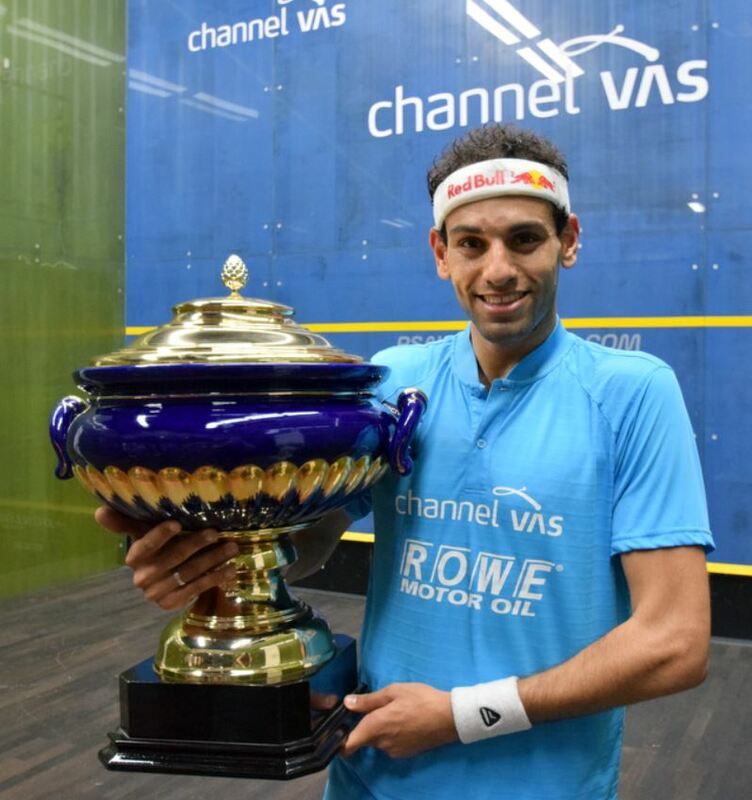 There was a touch of fortune about the point that put him match ball up, with a straight drive hitting the join between the right hand wall and the front wall and wrong-footing Farag, but he made no mistake in converting the next point to capture his second PSA World Tour title of the season and the 27th of his career. 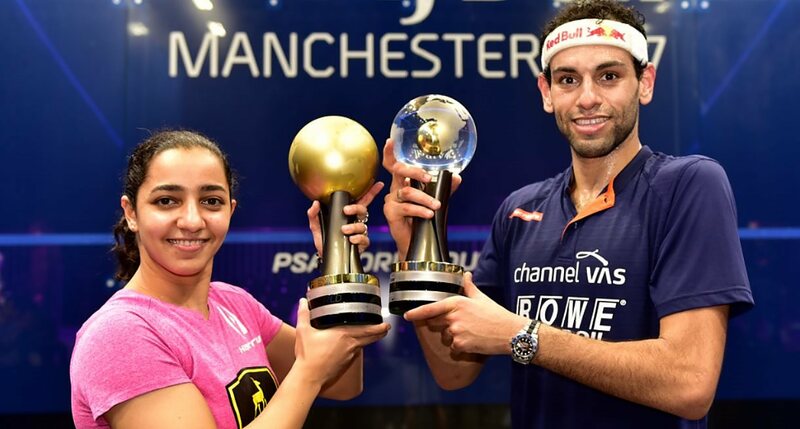 “I didn’t have a good time here last year and I really wanted to come back and play well and I’m really glad that things went my way,” said ElShorbagy. 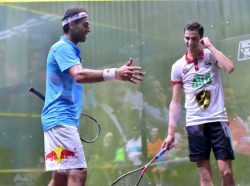 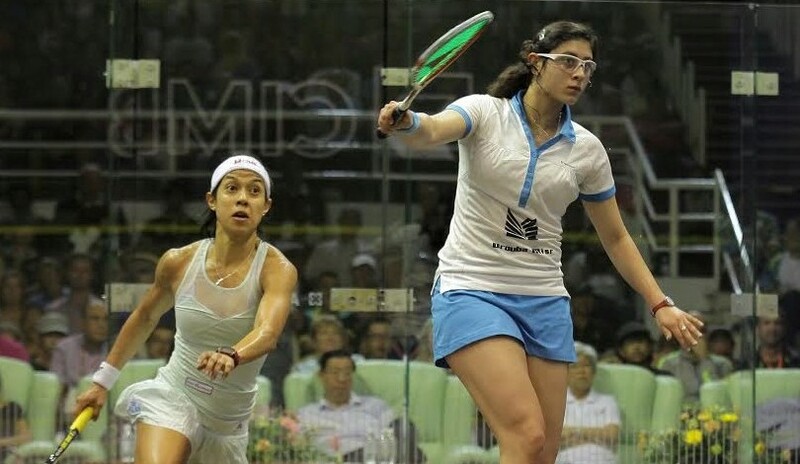 “I would like to pay my respects to Ali, this is our third tournament this year and both of us have made it to three finals now and he’s had a great start to the season. 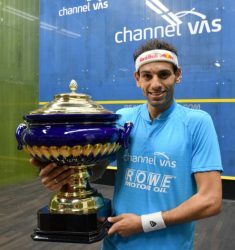 The way he played at the U.S. Open last week when he beat me was unbelievable and he did great to come out here and play well every day. 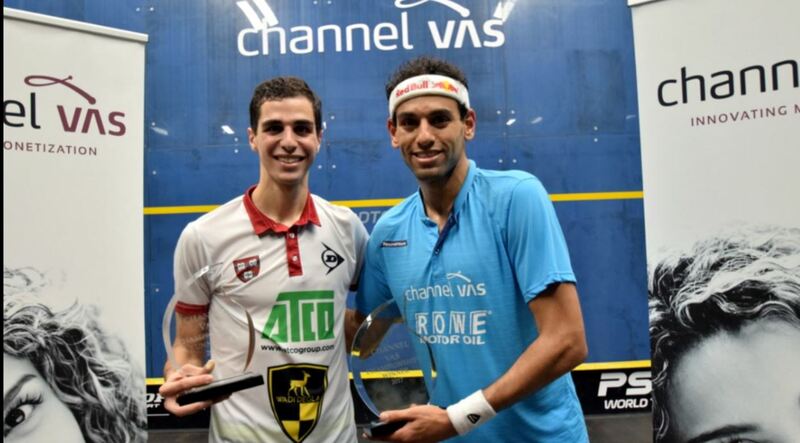 Farag said: “Today, the difference is experience. 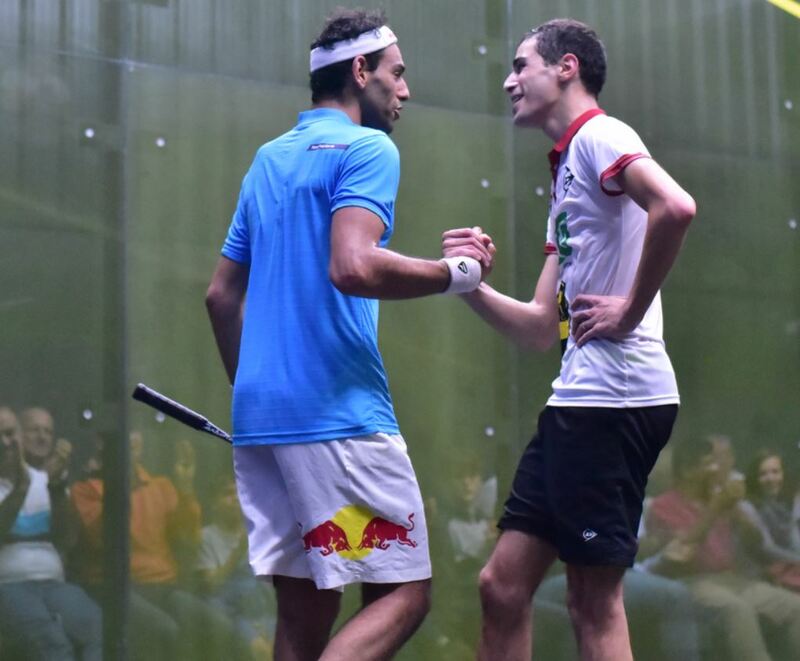 There is a reason why Mohamed was World No.1 for 28 months. “He knows how to back up those long tournaments and he knows how to push in those crucial moments. The succession of matches finally got to me.